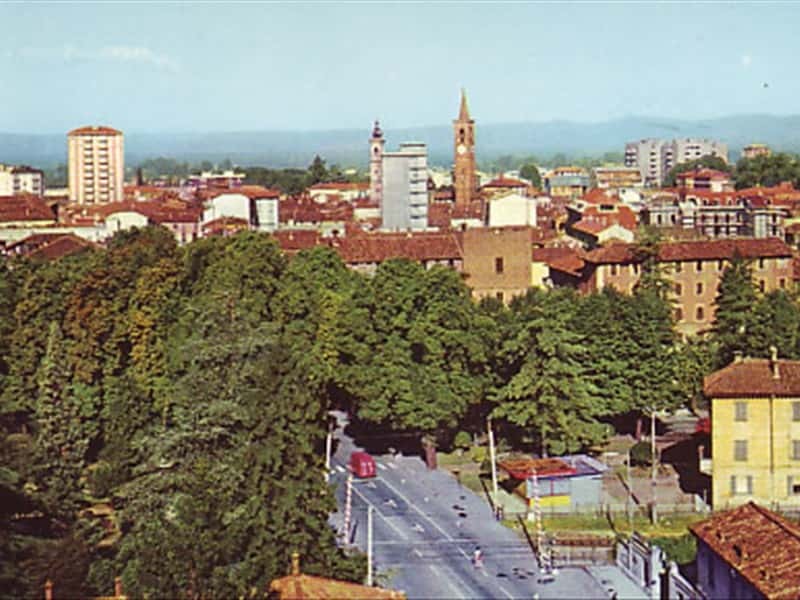 Town in the province of Milan, located in the Parco del Ticino, Abbiategrasso is one of the largest centers of the area, second only to main center of the regionl. In the testament of 1034 of the Archbishop of Milan Ariberto da Intimiano, who reported for the first time the phrase "Abiate qui dicitur Grassus". The name of the village was Abbiate till the X century, when the epithet Grasso was added, common in the area, with probable reference to the fertility of the soil. Numerous archaeological traces evidence that the area was inhabited by the Celts and by the Gauls. However, only under the Romans, the town realized a decisive increase, through the realization of "villa rusticae" along the road Mercatorum that runs parallel to Ticino. Among the most important finds from this period is a reminiscent of the 280 graves with their cremation elements, which were traced between 1952 and 1955 in the grounds of the farm Pestegalla. After the fall of the Roman Empire, the town followed a dark period due to the frequent barbaric invasions, until the allocation and consolidation of Lombard rule. Later Abbiategrasso became a possession of the archbishop of Milan and in 1277, it was ruled by the Duchy of Milan. Subsequently it was ceded to the Visconti and submitted the Spanish and Austrian occupation. Among the most valuable monuments, not to miss: the Visconti-Sforza Castle, built by Gian Galeazzo Visconti in 1382 and today preserved only in part, the castle, in fact, played a key role in the political life of the Duchy of Milan until 1635, when, shortly thereafter, the fortification began to be dismantled so that the French could not take over the control during the clashes. The monumental complex of Santa Maria Nuova is one of the most significant historical and artistic buildings of the area and consists of a main church with the beautiful portico and porch of the Renaissance. It was built in 1388 on the occasion of the birth of Giovanni Maria, son of Gian Galeazzo Visconti, and is considered the last major work in Lombardy by the architect Bramante. Other sites of interest are: the Convent of the Annunciation, completed in 1472, the Arconati Palace and the XVIII century Church of San Bernardino and the Hospital for Incurable Diseases. This town web page has been visited 26,872 times.